Accomplished and energetic worker with a solid history of achievement in customer service and manufacturing line assembly. 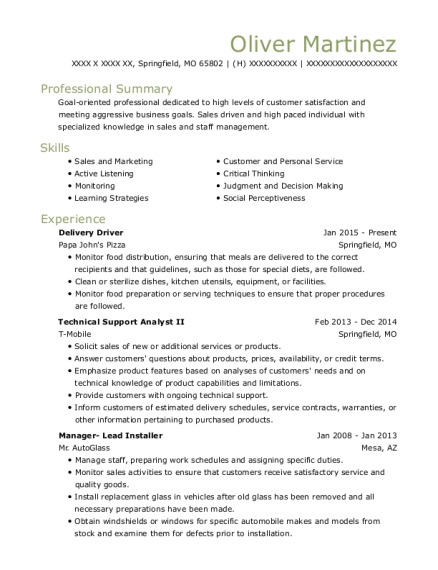 Areas of expertise include fast-paced, quick learner, good coordination, and an eagle scout. I take the food after it is packaged into the appropriate boxes and place them into the hot bags, from there which I punch out on that delivery and I take it to the house, once the money is collected after handing the customer their food, I go back to the shop and punch back in. When I am not on the road for a delivery, I help on the food makeline, making pizza's, breadsticks, sandwiches and pastas which will be loaded into the oven for deliveries and pickups. When I open, I help with food prep, box folding, dishes and even mopping the floors when needed. Starting the construction of dryers on the line, placing the shell of the dryer into a machine, placing the pieces in and pushing a button to where they would be folded up into the shell, then I would need to place the bulkhead in it and push it onto the line. 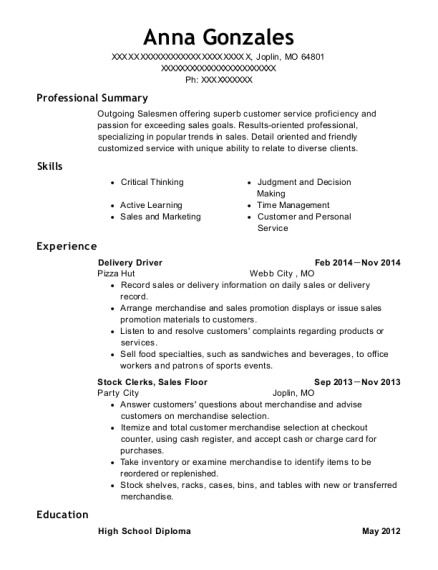 This is a resume for a Delivery Driver in Upper Sandusky, Ohio with experience working for such companies as Dominos Pizza and Whirlpool. 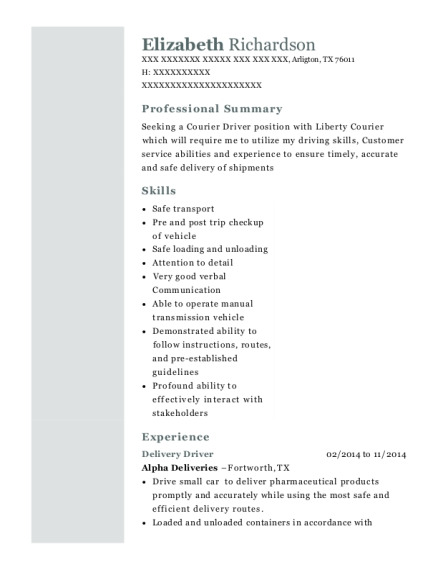 The grade for this resume is 0 and is one of hundreds of Delivery Driver resumes available on our site for free. 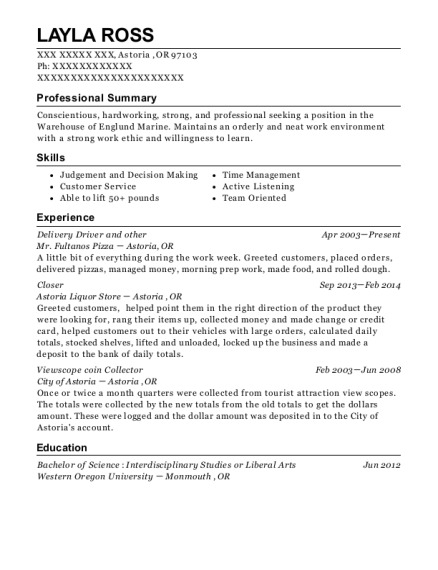 Use these resumes as templates to get help creating the best Delivery Driver resume.